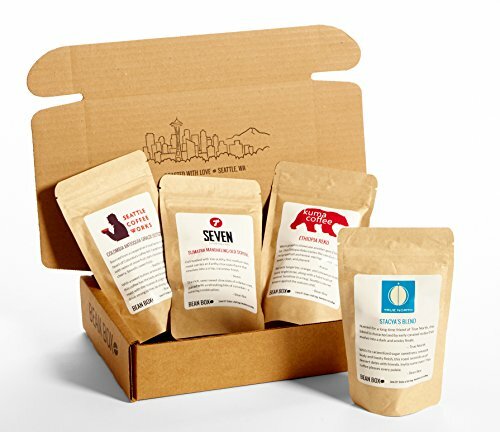 *BEAN BOX SAMPLER GIFT SUBSCRIPTION: Every month Bean Box handpicks 4 gourmet coffees from Seattle's top small-batch roasters. Experience a wide variety of single origin coffees and artfully-crafted blends. 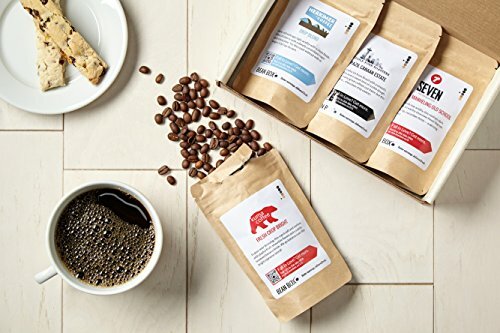 Every Bean Box includes a half pound of freshly-roasted whole bean coffee, tasting notes, roaster profiles, brewing tips, and an artisan treat with free shipping. 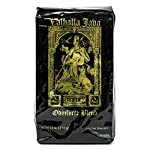 *GUARANTEED FRESHNESS: Every coffee we ship is roasted to your order. 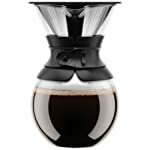 This means your cup is always filled with rich, delicious flavor. Many of our customers can't believe how great freshly-roasted coffee tastes. You don't have to travel to Seattle. 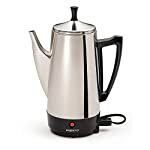 We'll bring a gourmet coffee experience to the comfort of your kitchen. 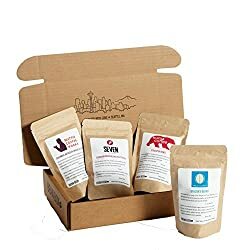 *SUPPORTING LOCAL ROASTERS: Buying a Bean Box supports a community of local artisan roasters. 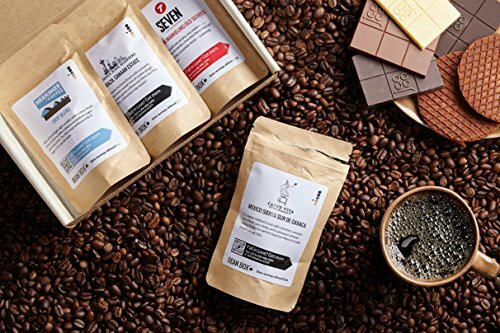 We work exclusively with 23 of Seattle's top-rated, award-winning, small batch-roasters, including: Kuma, Herkimer, Ladro, Slate, Bluebeard, True North, Velton, Broadcast, Conduit, Lighthouse, Middle Fork, Seattle Coffee Works, Zoka, and more. You can taste their focus on farm-to-cup sourcing and hand roasting in every cup. 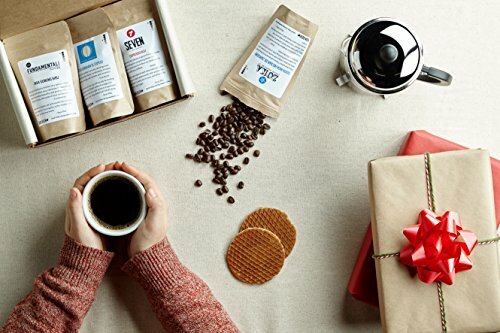 *GIFTS: Bean Box is the perfect gift for coffee lovers. Add a personalized gift note to your order. 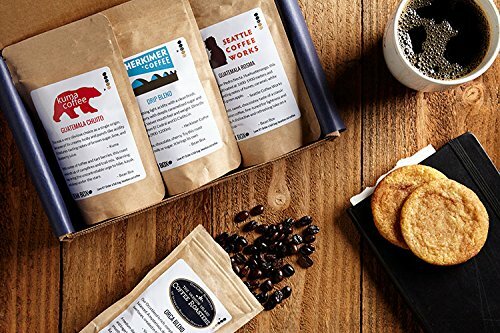 Free Shipping, Ships Freshly-Roasted, Amazing Service, Makes a Great Coffee Gift 12-month gourmet coffee subscription (12 Bean Boxes) Tour Seattle's top-rated roasters Freshness guaranteed, roasted-to-order Whole bean coffee, tasting notes, and roaster profiles.